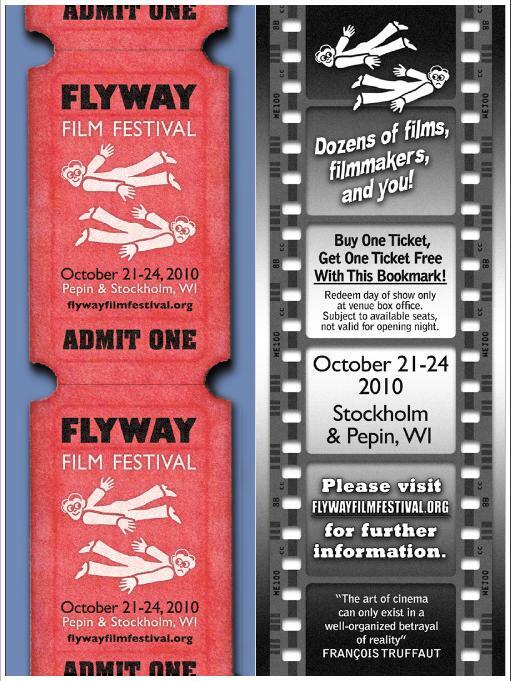 Retro ticket design is the visual theme for the 2010 Flyway Film Festival. Below is a two-sided bookmark design. I should also note that the flying drama guys are not my creation but were provided to me by the festival's Curator. 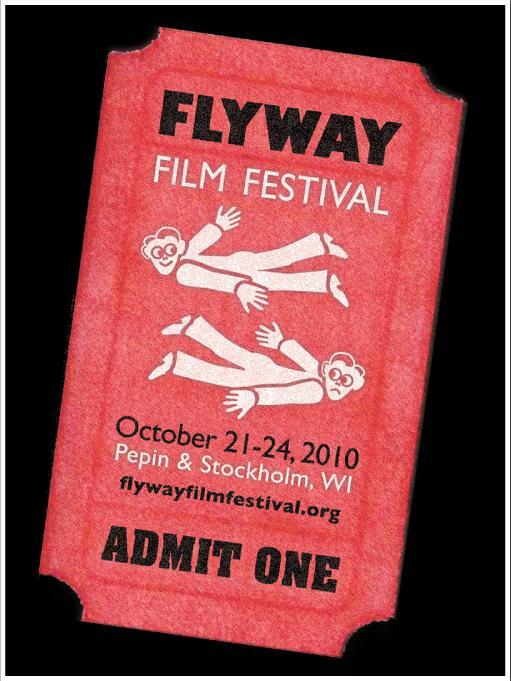 Please visit Flyway's site here and help grow this intimate and supportive indy film festival.